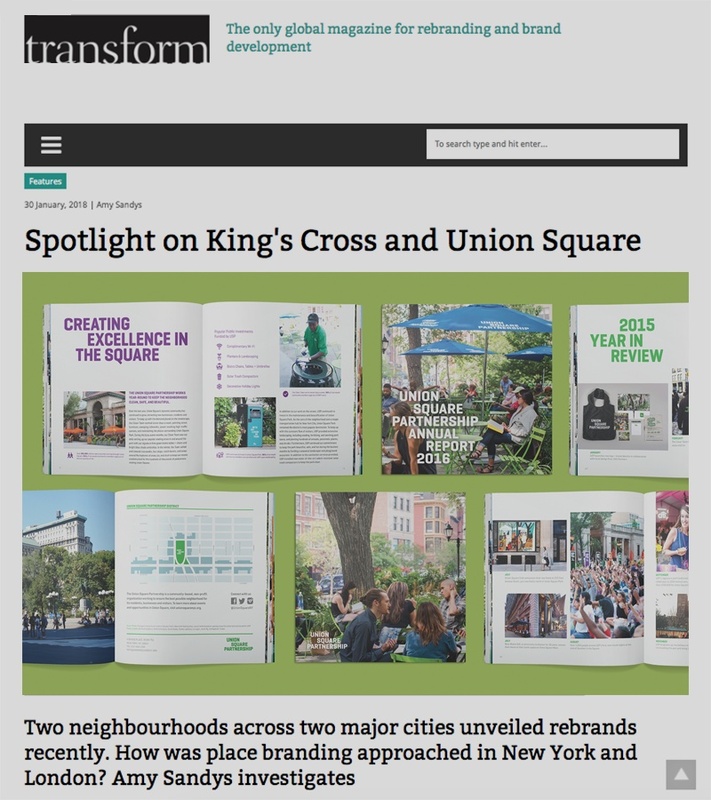 British publications Transform and Communicate covered the ongoing collaboration between C&G Partners and Union Square Partnership to rebrand the union square neighborhood. "NYC is a pretty distracting place. You need a strong, clear visual strategy to stand out. And, with Union Square, one of the only truly round-the-clock communities amid the commercial bustle of New York City, the collaboration...pinpoints the square as a cultural, social, and welcoming retreat," according to the articles. Read more at Transform and Communicate.